Jumpsuits Are A Total Celebration Of All Things Vintage (Think Discos, Think Charlie’s Angels). And, Don’t Be Fooled, Jumpsuits Aren’t Just For Dancing The Night Away In. Let This Summer Be The Season You Embrace The Daytime Jumpsuit. 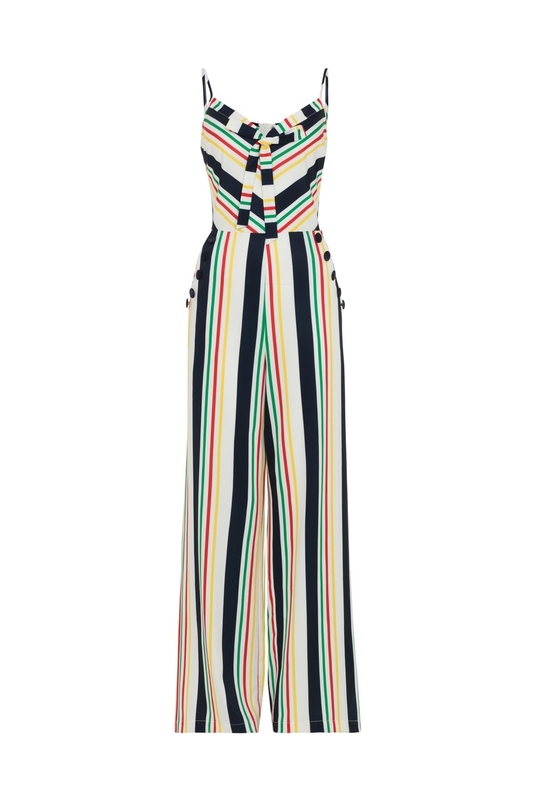 Spend Your Summer Days With Zarah, The Gorgeous Pinstripe Jumpsuit With That Voodoo Vixen Twist!